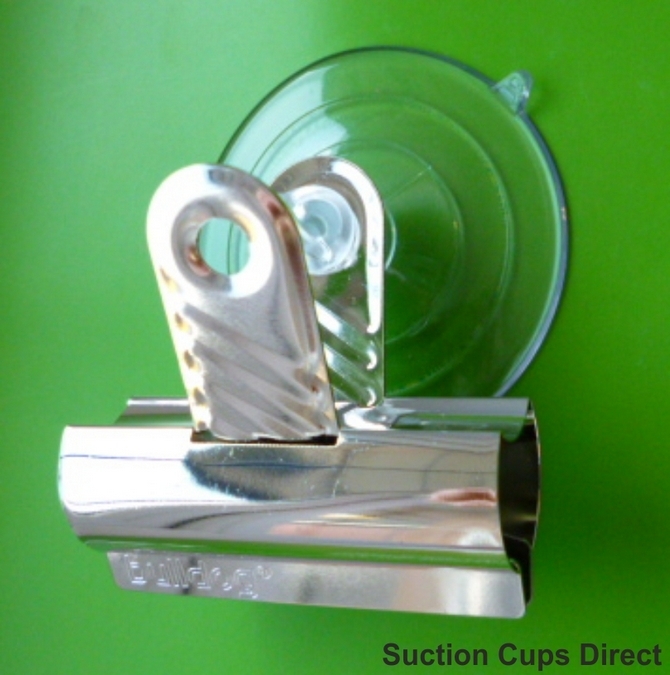 Suction cups with heavy duty bulldog clips. Suction Cups Direct. The heavy duty shiny metal bulldog clip is 60mm wide and will hang documents, door or window signs and display posters etc. 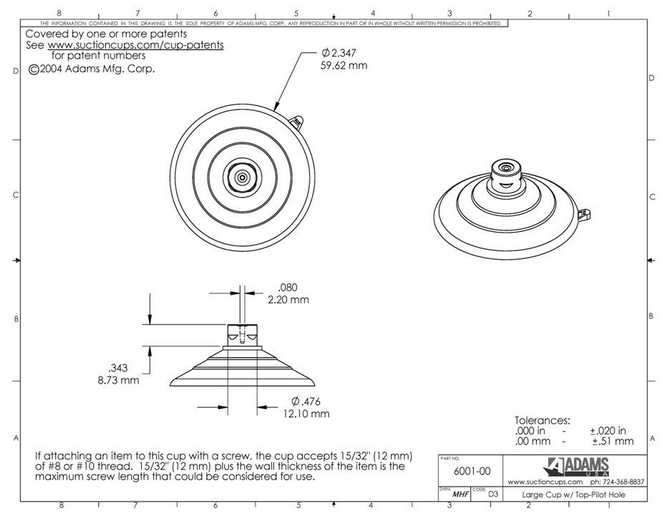 Adams 64mm suction cup is rated to hold 7 pounds (3.2 kgs) in weight. (this refers to the suction cup adhesion).